Wait! Convicted Lawmaker Dariye Still Gets N14.2m Monthly Salary Despite In Prison? Oh my country! Anti-corruption group, Socio-Economic Rights and Accountability Project, has urged the Federal High Court in Lagos to stop the N14.2m monthly salary and allowance being paid by the National Assembly to a convicted lawmaker, Senator Joshua Dariye, who is currently serving a 10-year jail term in Kuje Prison. The suit followed an exclusive report by The Punch that despite being convicted and sent to jail for embezzling N1.1bn ecological funds belonging to Plateau State where he was a two-term governor, Dariye was still being paid N14.2m monthly by the National Assembly. In the suit, SERAP described the continued N14.2m monthly payment to Dariye as “a great moral failure” on the part of the leadership of the National Assembly. The anti-corruption group contended that the payment violated Nigerian law and international obligations, while accusing the Senate President, Bukola Saraki, of “trying to override Nigerian law and the judgment of our court,” which convicted Dariye. Joined as defendants in the suit areDariye and the National Assembly Service Commission. SERAP said members of the public, including itself, were alarmed to learn that despite his conviction and imprisonment, Dariye was still earningN750,000 salary and N13.5m monthly allowance. The group contended that, “By paying Mr Dariye’s allowances while in prison, Mr Saraki and the National Assembly Service Commission have destroyed the efficacy and purpose of Mr Dariye’s conviction and have brought the rule of law and administration of justice into disrepute. “By continuing to pay Mr Dariye’s allowances after his conviction and while in Kuje Prison and unable to sit and perform the functions of a sitting senator, Mr Saraki and the National Assembly Service Commission have played a negative role to wit: undermining the authority and integrity of the court. “Mr Dariye, having been convicted, sentenced and currently serving jail term in Kuje Prison, can no longer by virtue of his imprisonment lawfully carry out or perform the duties of a senator. Mr Dariye ordinarily ceases to be a senator, as per the provisions of section 66 of the 1999 Constitution of Nigeria (as amended). » Wait! 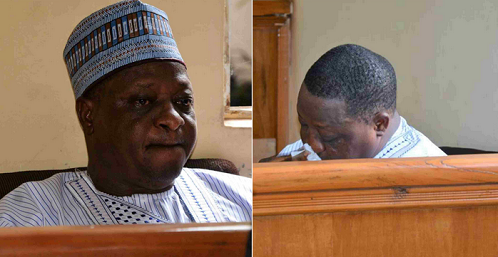 Convicted Lawmaker Dariye Still Gets N14.2m Monthly Salary Despite In Prison?